Life is too short to waste on books that you are not interested in. 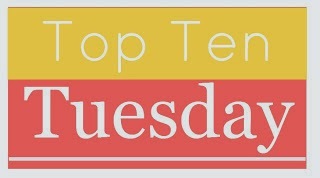 This week's TTT topic is series or books that you will not be continuing. Below, I've listed ten series that I will not be continuing. Now, bear in mind, these are my personal opinions and I know some of the choices below may be surprising as they are either quite popular and/or best-sellers. So please don't be offended if I've listed your favourite series below - it's just how I feel. I know this is a very unpopular choice but I'm sorry guys. I really tried to like this book but the writing in the first book just got to me. I could not force myself to finish it. I have heard that subsequent books get better but I'm not interested in forcing myself through the first book just to get to the sequels. So sadly, this is a no for me. Now, don't get me wrong. I actually enjoyed the first installment, Graceling. I think I gave it a 3.5 stars. I started reading the second book and frankly, it's not as good as the first one. The gentle hints about "anti-marriage" in Graceling become a fullblown propaganda in Fire and I did not enjoy it at all. It was a DNF for me. Whoever marketed this as dystopian clearly didn't read the book. While I didn't mind the first book, the whole series just isn't for me. If I want fluff, I'll go and read a romance novel. If I want dystopian or fantasy, I'll head for the appropriate books. This weird mixture in-between (not to mention the annoying protagonist), I don't think I could force myself through two more books. I tried it again with one of the novellas, The Queen, and oh my goodness, it is so bad. So nope, definitely not interested. Again, I read the first book, didn't hate it but didn't like it enough to continue with the series. I think if there's ever a series in this list that I may return back to at some later point in time, it may be this one. Because the writing isn't actually that bad. I just didn't really connect with the characters or the plot. I absolutely love A Thousand Pieces of You by Claudia Gray. And that started me on the "let's try out all her previous novels" journey. Unfortunately, I couldn't even finish the first book of her Spellcaster trilogy. There is too much insta-love not to mention so much introspection from the narrators that they are practically listing out the plot line. It wasn't for me. I'm ashamed to admit it but the covers drew me in. Unfortunately, this series is basically Gossip Girls set in the 19th century (Cecily von Ziegesar wrote the endorsement on the book cover) - with the modern theatrics and sexual promiscuity. I'm sorry, but isn't a young lady's virtue and innocence highly protected back in the 19th century? A little bit of promiscuity is expected in historical romance provided it leads to HEA but apart from the fancy dresses and servants, the girls in this series behaved like modern young adults. The only characters I liked didn't get their happy ending so basically, there isn't any incentive for me to finish this series. This is a series where I loved the first book with a passion, enjoyed the second book, got myself through the third book only to discover there's a fourth book (not to mention a fifth and a sixth). I didn't like the third book enough to continue with the series. I genuinely thought this book is going to blow my mind. But the only feeling I got through the first half of the book is frustration. Sure, the main character is demanding answers left, right and centre. But the other characters keep telling him they'll tell him later, or he didn't need to know, so he ends up finding out everything as it happens. I know it's meant to serve as a plot device to avoid info-dumpling but the complete lack of information for no good reason just made me angry. With my deep love for Maggie Stiefvater's The Raven Cycle quartet (so excited for the last book to come out soon! ), I tried her earlier works. Unfortunately, instead of a similarly intriguing tale, I got Twilight 2.0 where Team Jacob wins instead. Really sorry if I sound snarky here. The first book is... okay. The writing is fine. The characters is fine. There's just no spark to keep me intrigued with the series. Which books are you dumping this week? Ooooh I'm so completely with you on The Maze Runner and Wolves of Mercy Falls. I read Shiver. I'm surprised I actually got through it. I only got 40 pages into The Maze Runner and was so frustrated. Excellent list! Aww, that's a shame about Maria's books! Among some of my other enjoyed reads here. But the thing is with the new trilogy out, you don't have to really read it. The first one ended fine enough. I think it was really other fans pushing and pushing Maria to write more about Yelena that got us another trilogy! The only series I have read from your list in The Maze Runner trilogy, and wow am I gutted that you don't like it and wont be finishing it. I loved it and I loved the whole mystery and twists and just the whole feeling of having no idea what is going on until the last minute. For me it was the whole fun of the book! I really want to read the Shatter Me series, it has been on my TBR for what feels like forever! I don't blame you for not wanting to continue Shatter Me or The Luxe. We disagree on a lot of the rest, but I can't tell you how happy I was to Shatter Me on your list! Every single girl in my book club that read it could not stop talking about how amazing it was. So I bought the whole set and I just COULD NOT stand the writing style. I think I made it 100 pages before saying forget it and relegating the books to eye candy covers for my shelves. I haven't read most of these, but a few are on my TBR! I did enjoy The Selection series, but I can see why some people wouldn't. Site Announcement: I'm going on a holiday!